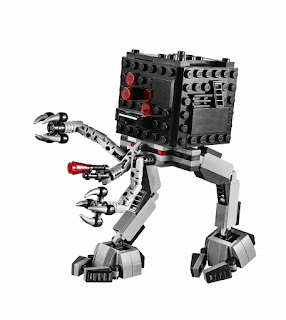 come with a fire mech, a windmill helicopter and the micro manager. 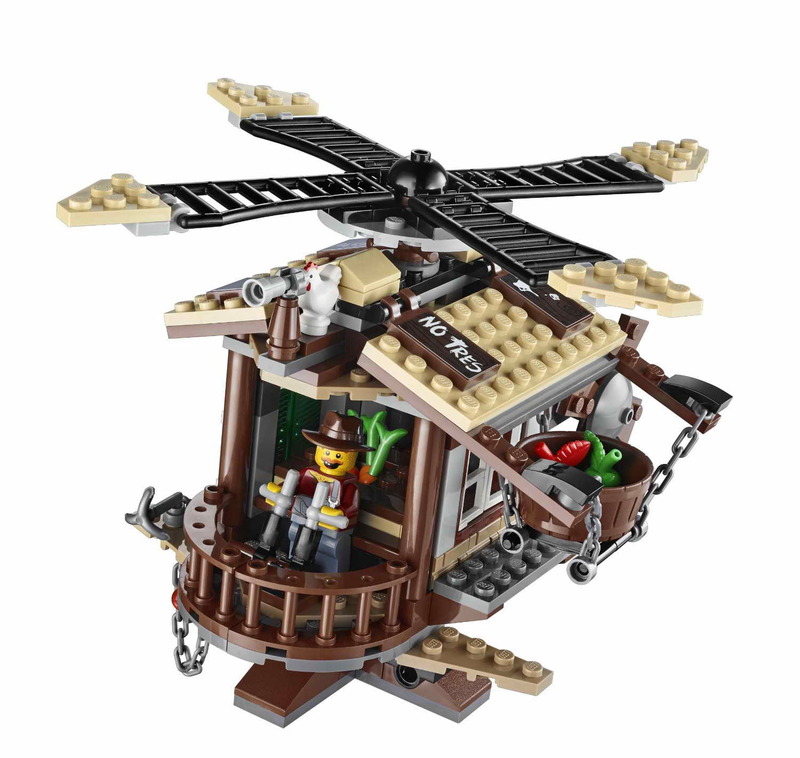 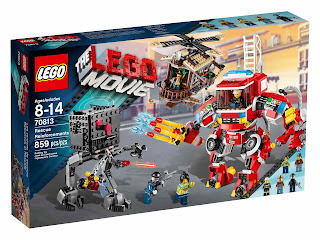 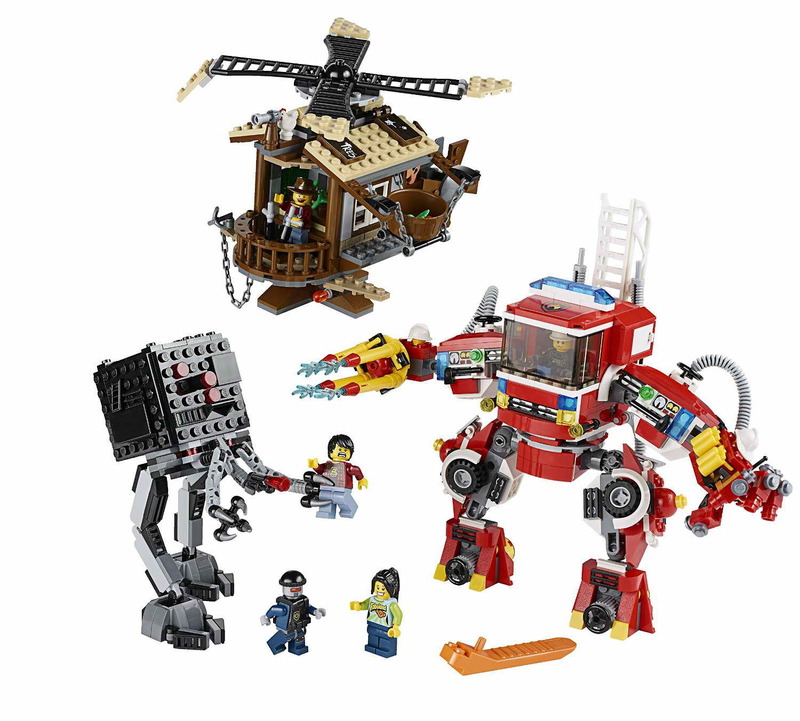 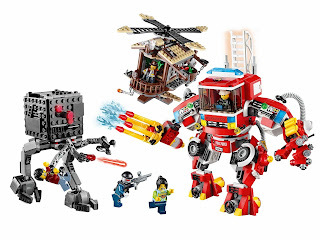 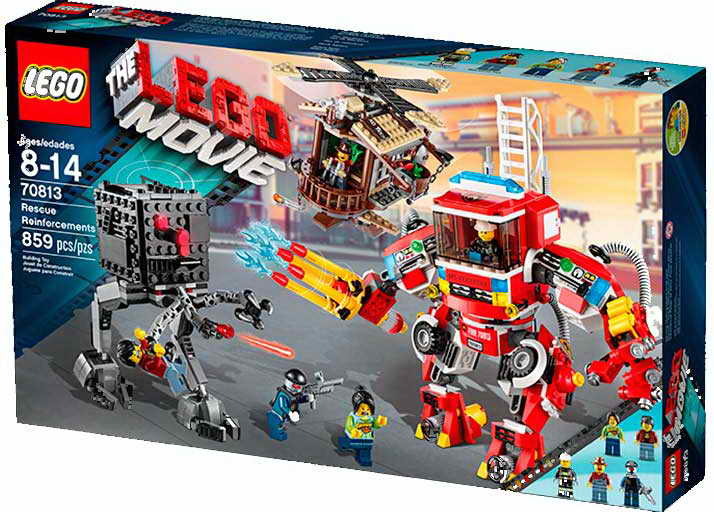 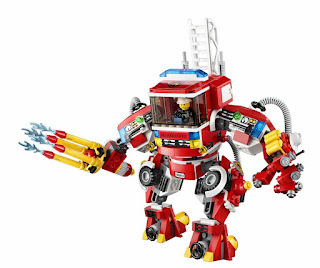 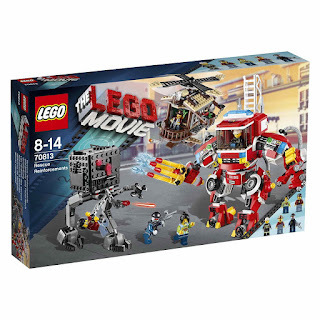 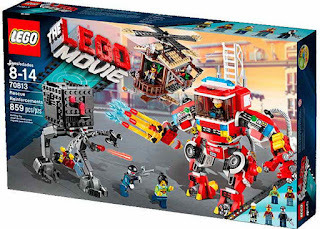 the mech has a detachable roof, water sprayers, gauges, firefighter tanks, helmets, a ladder, hoses, blue lights and poseable joints..
the helicopter has spinnable propellers, a side basket, a side door, a sliding tray, a chained anchor, chicken binoculars look out and 2 flick missiles. minifigs included a blaze firefighter minifig, a hank haystack minifig, a robo swat minifig, a fabu fan minifig and a blacktron fan minifig.